Isaac Damon married Lucy Houghton, daughter of Elijah Houghton Jr and Sarah Ballard, in Mar 21, 1811 at Ashby, Middlesex Co., MA, USA. Isaac Damon married Ruth Shattuck in Apr 14, 1844 at Ashby, Middlesex Co., MA, USA. Dorothy Foster married Lewis Gould Houghton, son of Elijah Houghton Jr and Sarah Ballard, in Jun 12, 1833 at Ashburnham, Worcester Co., MA, USA. Euclid Houghton Jr and Eunice Wakefield declared their intentions of marriage on Jun 19, 1818 Gardiner, Kennebec, ME, USA. Euclid Houghton Jr married Eunice Wakefield in Jul 19, 1818 at Gardiner, Kennebec, ME, USA. George Washington Houghton married Nancy Bradbury Lane in May 30, 1833 at Buxton, ME, USA, Narraganset Twp. No. 1. Death before 1860 wife alone with children in 1860 census; wife living with son Orville in 1870. Thomas Houghton and Rhoda Edgcomb declared their intentions of marriage on Sep 22, 1822 Gardiner, Kennebec, ME, USA. Thomas Houghton married Rhoda Edgcomb in Oct 27, 1822 at Gardiner, Kennebec, ME, USA. Sally Houghton married Mr. (?) Wakefield. Fanny Farrington married Charles Houghton, son of Euclid Houghton and Elizabeth Pettingill, in Dec 1, 1814. Nancy Bradbury Lane married George Washington Houghton, son of Euclid Houghton and Elizabeth Pettingill, in May 30, 1833 at Buxton, ME, USA, Narraganset Twp. No. 1. Mr. (?) Wakefield married Sally Houghton, daughter of Euclid Houghton and Elizabeth Pettingill. 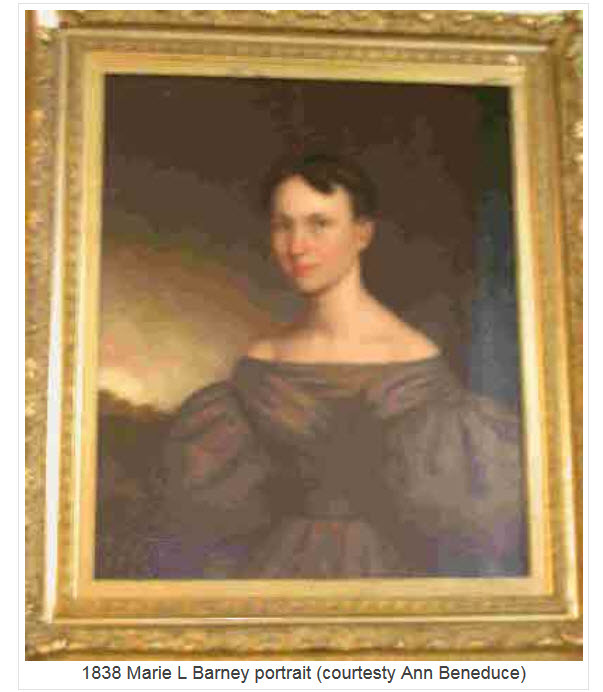 Emilia Stebbins Houghton married Rev. Dr. Alfred E. Stubbs D. D. in Aug 9, 1840 at St. Albans, Franklin Co., VT, USA, VT Gazetteer Index: v. 85; Rootsweb: 9 Sep 1840. George Frederick Houghton Esq. married Ann Donaldson. George Frederick Houghton Esq. married Catherine Sedgwick Swift in Dec 15, 1851 at Saint Albans, Franklin Co., VT, USA, While 1851 is given, son is born in 1842. 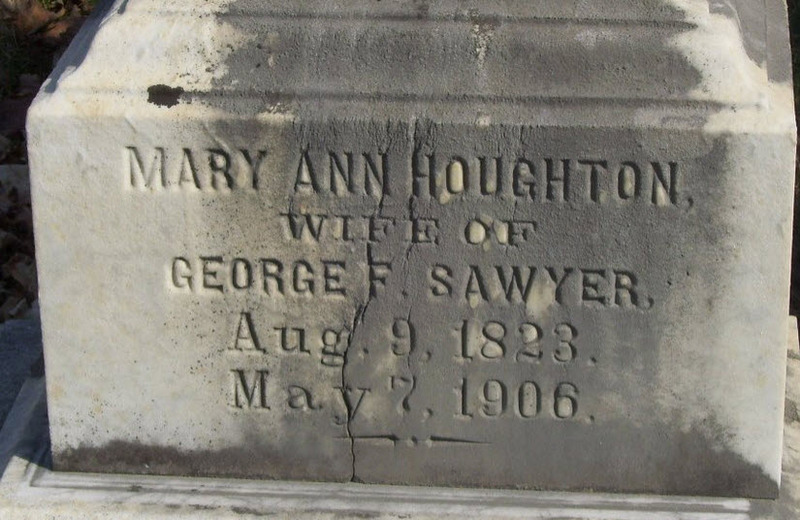 Mary Ann Houghton married George Foster Sawyer in Mar 14, 1850 at St. Luke's Church, Saint Albans, Franklin Co., VT, USA, Sawyer: 19 Mar. Dr. Roland Stebbins Houghton married Maria Louise Barney, daughter of Dr. Lowrey Barney M.D. and Almira Spencer, in Nov 18, 1850 at Milford, New Haven Co., CT, USA, "Groom of New York, Bride of Milford, by Rev James Dixon Carder, at Wm Strong's house"; Houghton Family Records gives 1851; JWH: 18 Nov 1850, Milford, New Haven Co., CT.
Rev. Dr. Alfred E. Stubbs D. D.
Rev. Dr. Alfred E. Stubbs D. D. married Emilia Stebbins Houghton, daughter of Abel Houghton and Emilia Stebbins, in Aug 9, 1840 at St. Albans, Franklin Co., VT, USA, VT Gazetteer Index: v. 85; Rootsweb: 9 Sep 1840. 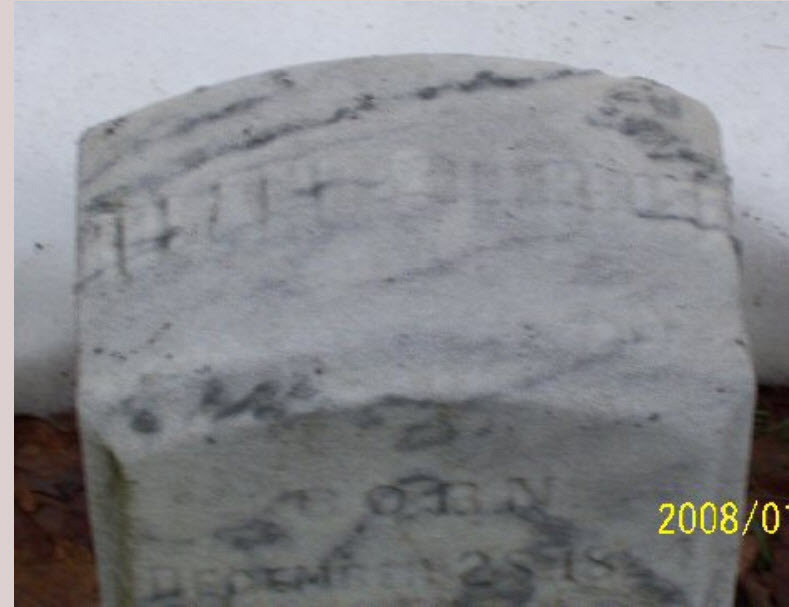 Duplicate Very probable, given both have sons Alfred S.
Catherine Sedgwick Swift married George Frederick Houghton Esq., son of Abel Houghton and Emilia Stebbins, in Dec 15, 1851 at Saint Albans, Franklin Co., VT, USA, While 1851 is given, son is born in 1842. 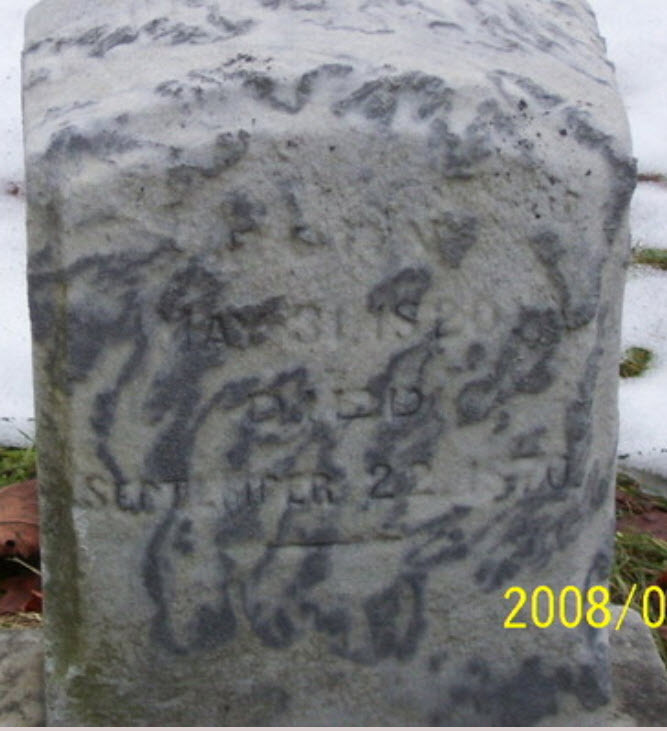 George Foster Sawyer married Mary Ann Houghton, daughter of Abel Houghton and Emilia Stebbins, in Mar 14, 1850 at St. Luke's Church, Saint Albans, Franklin Co., VT, USA, Sawyer: 19 Mar. Divorce Oct 2, 1850 New Haven, New Haven Co., CT, USA, She was then restored to her maiden name Barney. Notable A close friend of Edgar Allen Poe. She nursed his wife Virginia before her death. Poe wrote several poems about her. Maria Louise Barney married Dr. Joel Shew M.D. in Apr 14, 1839 at New York, New York Co., NY, USA. Maria Louise Barney divorced Dr. Joel Shew M.D. 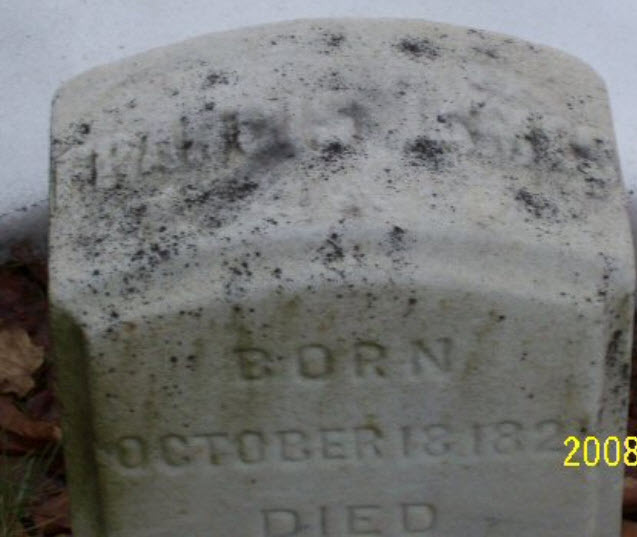 on Oct 2, 1850 at New Haven, New Haven Co., CT, USA, She was then restored to her maiden name Barney. Maria Louise Barney married Dr. Roland Stebbins Houghton, son of Abel Houghton and Emilia Stebbins, in Nov 18, 1850 at Milford, New Haven Co., CT, USA, "Groom of New York, Bride of Milford, by Rev James Dixon Carder, at Wm Strong's house"; Houghton Family Records gives 1851; JWH: 18 Nov 1850, Milford, New Haven Co., CT.
Death Apr 29, 1885 unmar.